On the subject of displaying favorite family photos in your home, I thought I’d share a couple of other ways we’ve displayed some in fun ways. 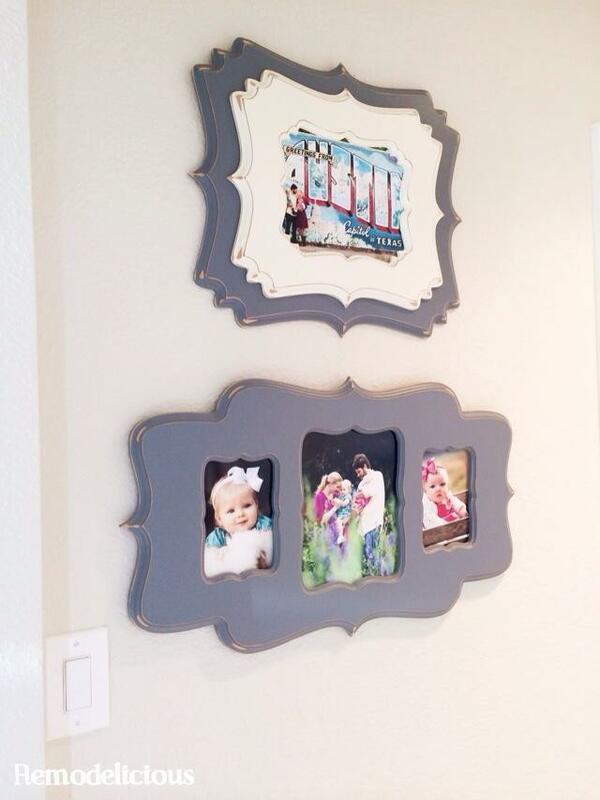 These beautiful photos are by Beverly Demafiles Schulze in Poppy Tree Frames. These frames are hand made in the USA. I’ve seen knock offs at the big box stores, but the quality doesn’t compare + you don’t get do customize your frame with all of the amazing options that Poppy Tree offers. Of course, you could DIY some paint & scrapbook paper onto one of the budget ones ;-). These are simple canvases, but are so beautify pair this way. 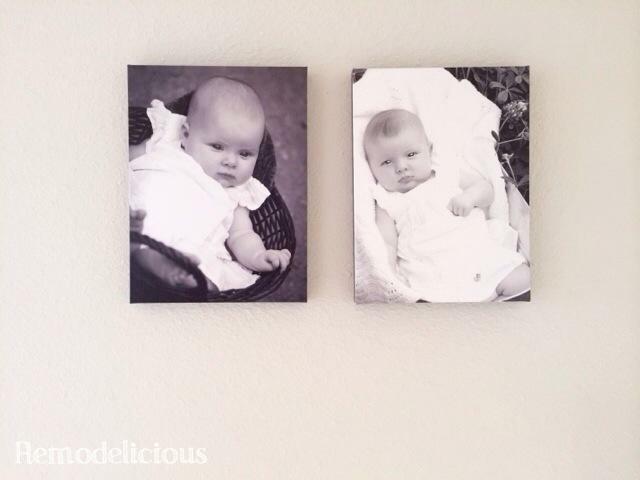 On the left, a photo of Chloe at around 3 months old taken by Kerri of Cherish Photography. On the right, a photo of Cora at around the same age that I took myself in our backyard. I didn’t intend to put them side-by-side, but noticed how similar the shots where when I was editing and had to hang them together. When the second canvas arrived, I noticed that they were even wearing the same dress – another happy accident. I think that the best way to hang family photos is grouped into similar framing like these canvases, the Poppy Tree frames above, and on our gallery wall. It looks best when they aren’t in every spot in the house. Save some prime spots for treasured artwork as well. What’s your favorite grouping from our home or in your home?